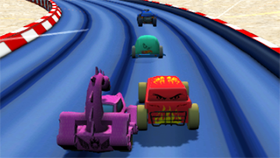 Sim Taxi Lotopolis City is an interesting racing game. This game has unique graphics, suitable for all ages. You can experience this game on your browser because it is a flash game. 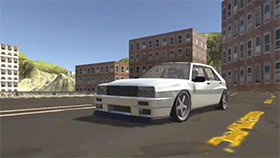 In this game you will drive a taxi and your task is to make as much money as possible. You will be picked in one of the two cities Lotopolis Zone 1 and Lotopolis Zone 2 to play this game. The most interesting part of this game is the police car. If you move near police cars, you will have to escape from them. And that's really an interesting race. If you escape successfully, you will get a lot of money. Avoid the police cars by letting them crash into other vehicles.